What traffic violations require a mandatory court hearing? North Carolina has some of the strictest traffic offense laws in the country. Unlike many other states, a person who receives a traffic ticket will often be required to attend a mandatory court hearing. This means that even if you want to plead guilty and pay the ticket, you will most likely have to attend a court hearing to do so. However, an experienced traffic law attorney may be able to attend this hearing for you and obtain a better outcome with less harsh penalties than if you go to the hearing on your own. What Are Waivable Offenses That Do Not Require a Mandatory Court Hearing? There are a few “waivable” offenses where you can handle the ticket without going to court by paying the fines and costs prior to the court date. By doing so, you are waiving your right to appear at a court hearing. Waivable offenses are very minor ones, such as having a broken headlight. The police officer who issues the ticket should indicate on the back of the ticket whether the offense is one that can be waived. If it is, the costs and fines that you must pay should also be listed. By paying the ticket, you are also pleading guilty to the offense. This can affect your driver’s license and automobile insurance costs. It is always best to consult with an experienced attorney before deciding to just pay the ticket to be certain that you do not have better options—which is often the case. 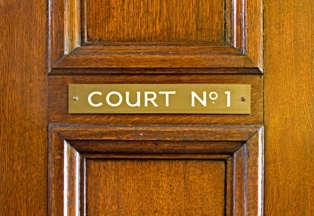 What Happens If You Miss Your Mandatory Court Hearing? If you fail to attend your mandatory court hearing, you could face more serious consequences. You may be assessed additional court costs, a warrant could be issued for your arrest, and your driver’s license could be revoked. Depending on the traffic offense, you may be facing additional criminal charges. You should contact an attorney immediately for assistance in getting your hearing rescheduled so that you do not face these consequences. Did you receive a traffic ticket? An experienced traffic ticket lawyer may be able to attend your mandatory court hearing for you and will fight hard to get the ticket dismissed or reduced to a less serious offense. This can help you avoid some of the harsh long-term consequences, such as a permanent criminal record, points on your driving record, and increased insurance costs. Call our office today to schedule your free, no-obligation consultation.